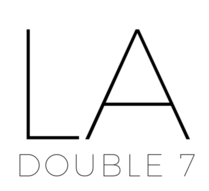 Shawls – LA Double 7, Inc. The graphic geometric motif of this cozy scarf makes a bold statement, while the muted, neutral hues ensure versatile styling with a multitude of outfits. Composed of a woven acrylic yarn, although mimics the feel of an expensive knit. Strike a perfect balance between comfort and style with this soft scarf available in four fashionable shades. Solid tones in a lightweight, airy, semi-sheer material, creates various elegant looks. Style as a head-wrap, neck scarf, belt–the options are endless.